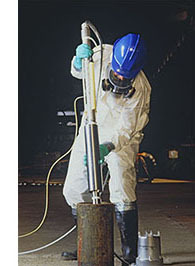 Soil Vapor Extraction Systems (SVE) for the removal of hazardous vapors from contaminated soil. When system controls and logic are required when interfacing SVE equipment, Geotech can provide you with a Geotech Environmental Control Module (GECM) to operate and monitor all your equipment at one site. Each device is controlled with a HAND/OFF/AUTO (HOA) switch. During normal operation, all devices are set to AUTO for continuous run time. 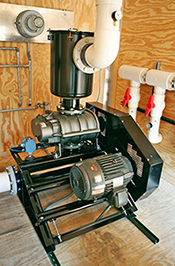 Grundfos Redi-Flo3™ electric submersible pumps that pump polluted water to the surface for treatment. 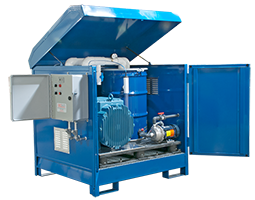 LO-PRO™ Air Stripper water treatment systems for the separation and removal of dissolved phase hydrocarbons from groundwater.